Nathan, over at FlowingData, has posted a fine example of infographics. The work of Willard C. Brinton is a nice extension of what was being done by U.S. government agencies. Turns out, Brinton's book can be found in used book sites, and at an affordable price. 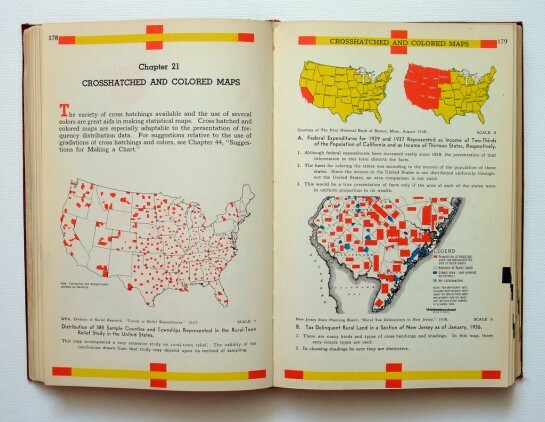 Someone needs to get me a paper copy of Willard Cope Brinton's Graphic Presentation (1939), because it is awesome. 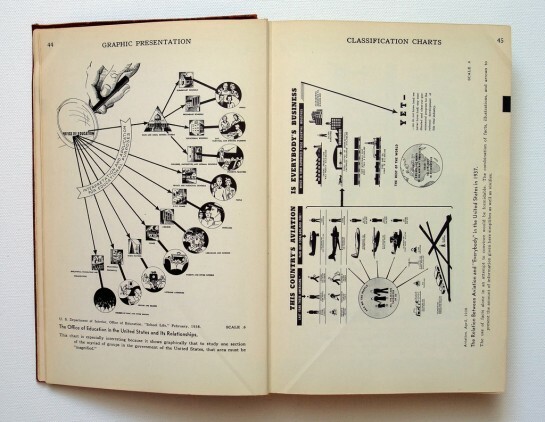 Brinton discusses various forms of graphic presentation in the 524-page book and what works and what doesn't. 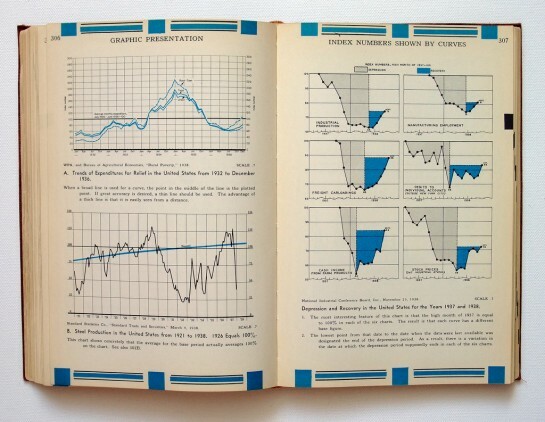 There's also some good stuff in there about how to make your graphs, charts, maps, etc (by hand). The most interesting part is that many of the graphics – despite having no computers in 1939 – look a lot like what we have today. Albeit, they're a little rougher because they're made by hand, but that's just added flavor. One thousand strips of paper are set on edge to represent 100% and are separated into component parts of 100%. What? You want me to arrange 1,000 strips of paper to make my diagram? Brilliant, I say. The entire book is freely available in PDF format, but it's low resolution and takes forever to browse. Michael Stoll has posted some higher quality shots on Flickr. Seriously, does anyone know where I can get a copy? Like what you see? Subscribe to the FlowingData RSS feed to stay updated on what's new in data visualization.